Supreme Cleaning Ltd. Are a group of professional and reliable commercial cleaners, specialising in the provision of daily contract cleaning for businesses, factories, schools, colleges, surgeries, sports venues, social clubs and more. We are a team of fully trained and experienced cleaning operatives who are fully insured and reference checked, so you can expect a reliable and consistent level of service at all times. We have plenty of experience when it comes to providing daily contract cleaning services for offices and many different types of businesses and industries. We realise the importance of making a good first impression on business partners, clients and customers and make sure that your office spaces, corridors, lifts, cloakrooms and meeting rooms are all completely spotless. We offer a service level agreement that guarantees a reliable service and promotes a positive working environment for colleagues and employees through excellent office cleanliness and hygiene. 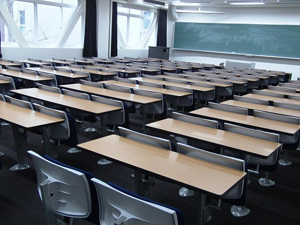 We provide comprehensive daily contract cleaning services for both private and state schools. It’s paramount that children are able to fulfil their potential and a clean, healthy educational environment is essential to achieving this. Through our specialist cleaning services we can ensure children are working in a clean, healthy environment. We use products that restrict the spread of germs and illness, thus preventing an increased rate of future absences. We have recently taken over cleaning roles at a number of veterinary surgeries as practice managers look to outsource their cleaning requirements and avoid having to worry about potential absence or sickness when cleaning is done in-house. Surgeries have strict hygiene criteria that must be met at all times to prevent the spread of bacteria and to keep pets and owners safe. All the products we use are designed to promote hygiene in surgeries and maintain a strict level of health and safety. 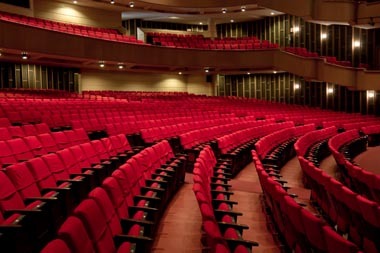 We also provide our cleaning services for concert halls, Masonic lodges and golf clubs along with many other sports and social venues. It’s important to make sure your premises makes a good first impression on guests and visitors and that required hygiene levels are met during large gatherings and events. Here at Supreme Cleaning we make sure our services are constantly maintained and that we deliver a consistent level of service for offices and social venues alike. We supply our services to various parts of the South East including Tonbridge, Thurrock, Greenhithe, Sevenoaks, Chatham, Dartford, Blackheath, Maidstone, Bromley, Lewisham and Croydon. For a free-no obligation quote, simply fill out the form below or Contact us on 01322 384500 and find out more about our specialist commercial and domestic cleaning services.